An ETL process is at the heart of any data-centric system/ project be it Data Migration or Data Warehouse. All the data movement, transformation, and conversions are done by the ETL process in order to ensure that all the data is uniform in terms of quantity, quality, and format. 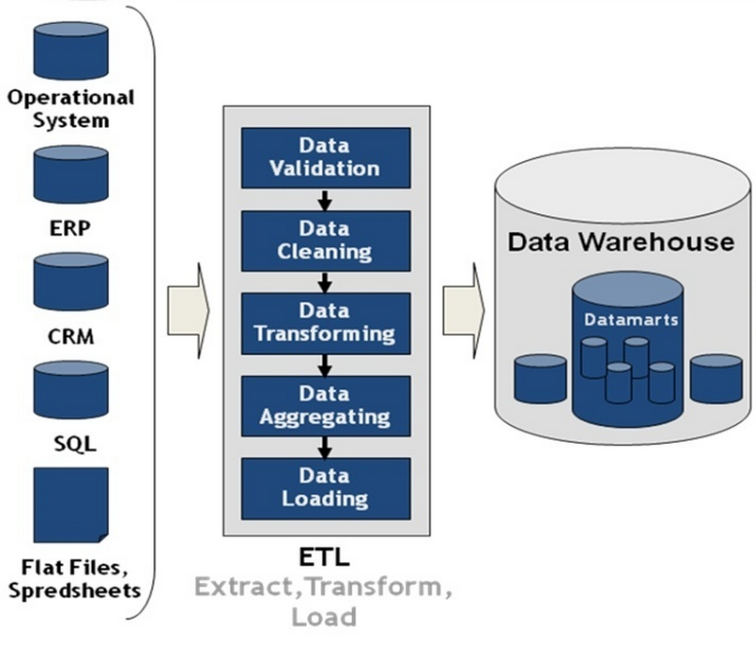 So, why is ETL testing so important in the process of data warehousing and data migration? Generally, data migration involves the transfer, lift, and shift of data from a legacy system or database to a new system. The lift and shift involve a lot of data ETL processing to migrate the data successfully over to the new system. Although it sounds relatively simple, the process is complex and time-consuming. There is a high risk for data truncation and data format issues. It may also lead to missing or duplicate data. ETL Testing and data migration testing enables companies to review the data migration process to look for these mistakes in the data movement or transfer. Generally, business analysts do not have information regarding the correctness or the quality of the legacy systems and data migration process. In an age, where data has a substantial value, it’s imperative that all data remain intact and stable. If the risk is not shifted early, then any data issues may cause the project to run over time and budget. Companies utilize every asset to improve upon their business strategies. More and more, companies are relying on statistical data, customer information, and business trends to make strategic improvements for their business operations. For some industries, like the healthcare industry, the integrity of this data, particularly with regards to patient information, needs to be upheld to the highest standards. In order to ensure that this data, which more than likely contains medical information of hundreds to thousands of individuals, is up to quality standards, ETL testing must be in place. ETL testing will be able to identify any data issues in their warehouse or data files. In addition, making decisions in the use of incorrect or corrupted business intelligence will lead to ineffective business strategies that can be costly. Therefore, to ensure that your data is efficiently migrated and warehoused correctly, the strict implementation of ETL testing is recommended. Data is becoming its own form of currency as we enter the age of Big Data. For business owners, collecting analytic and statistical information on their business operations, markets, and client behavior is imperative to identify trends. Once a large amount of data has been gathered and the results have been aggregated, you can then identify new business opportunities and other operational improvements for your business. With this data carrying such a high potential for businesses, storing it correctly becomes a delicate task and one where mistakes cannot be afforded, particularly when a customer or personal client information is at risk. For this reason, data warehousing plays a vital role in the era of Big Data. ETL testing plays an even more critical role, as it is there to ensure that all of the data coming into the data warehouse from different sources is extracted, transformed, and loaded correctly and without any data issues. Anytime data moves, the potential of data loss or data truncation issues arises. However, with proper ETL testing, Data Migration Testing and Production Data Monitoring the occurrence of these mistakes can be prevented. To learn more about our ETL testing/ Data Warehouse testing, Data Migration Testing, and production monitoring software, contact us today and we’ll get you in touch with one of our iCEDQ experts.